"I don't drink too much, I'm just a victim of great weather," I said, sensibly — although it's possible my mother would classify that as more excuse than explanation. Any way you look at it, though, the weather is nice. Spring has sprung. 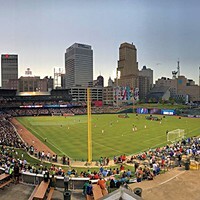 The onset of spring in Memphis is like watching a very amiable couple decide what to have for dinner — it's a lot of back and forth. Then summer shows up and obnoxiously delivers some sadistic combination of heat and humidity. We aren't quite there yet, so if you didn't know that spring was here by standing on your front porch you can always turn on one of the eating channels for this season's "newest" warm-weather food trend: Southeast Asian. Which is fine by me as I love those wild, colorful, spectacular flavors. Not sure how "new" any of this is, because people in Southeast Asia have been eating for a long time. 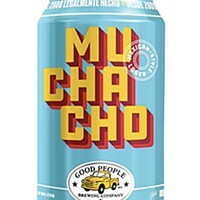 Still, innovative twists on old recipes abound, and if you want to stay on trend, you'll need to find the perfect beer before the million little pieces of what we're calling the modern media runs the idea completely into the dirt. Last weekend, we headed over to Hammer & Ale to squat on their parking-lot themed patio and think this one over. I ordered a Soulful Ginger, brewed just down the street by Memphis Made, a brewery that has never been afraid to monkey with new ingredients. It was weird, or more charitably, unexpected. Not bad, though. I liked it; it just took a sip or two to grow on me. Good Japanese whisky will do the same thing to you. With the first sip, you think, "This isn't Scotch!" and the second you think, pleasantly, "No. No it's not." Soulful Ginger is weirdly good: a light, refreshing, saison style with hints of ginger and peppercorns to give it a little spice and a clean finish. Originally from France and Belgium, saisons were brewed in the cooler months by farm workers who weren't too busy to keep them hydrated in the warmer months when they were. The French name for seasonal workers was "saisonniers." Saisons are some of the great unsung beer styles, and an obvious one to adapt to hot and steamy climates like Thailand or Midtown. 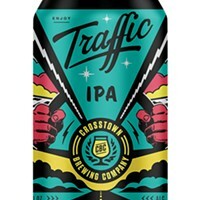 It is a great beer to go with something spicy, maybe something with lemongrass and sesame oil. The flavors just click with that palate of ingredients. If the ginger is a little too out there for you, High Cotton Brewing has another good option on tap these days. It's called Thai Pale Ale. Now, anyone who has spent any time in Southeast Asia knows that they are not big ale drinkers over there. Primarily, they stick to what we'd call the kind of watered-down lager that, until the 1990s, was about the only beer you could get stateside. And it's popular for a good reason: The weather is hot, the food is spicy, and the beer goes down easy. In some parts of the world, there is always a thirst to quench. 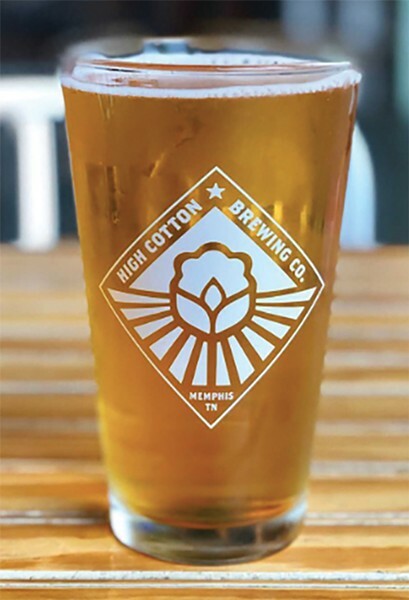 High Cotton has applied the same idea for the devoted hop-head who's looking for another option to pair with spicy foods. Thai Pale Ale is light and crisp but still has that "hops pop" that gives it a finish able to stand up to a great whacking dollop of Sambal Oelek chili paste without trying to fight it. Either option is a great beer if you've been so inundated by clever Southeast Asian food recipes from the internet that you feel you just must whip something up at home. Go grab a growler of either, or both, and have at it. If you miss the mark on dinner because, you know, internet recipes, just pour yourself another pint and chill. 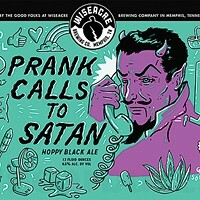 Prank Calls to Satan: Wiseacre’s Wicked Good Beer.